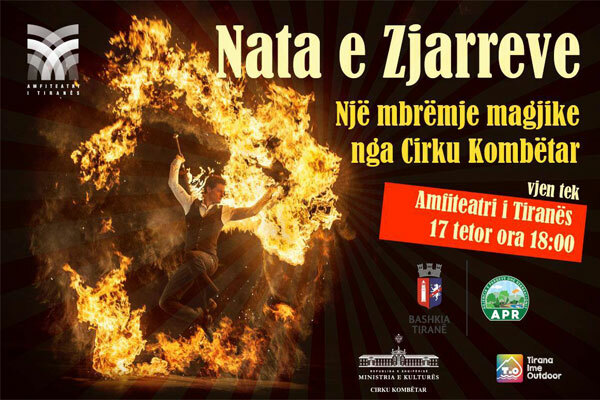 The National Circus with the support of the Agency for Parks and Recreation brings to the Amphitheater of Tirana, on October 17th, the show "Night of Fires". An event dedicated to children who will be able to become part of the wonderful game of circus artists. This evening will be filled with numbers of acrobatics, magic, humor and entertainment, and of course the best will be the flamboyant performance of the artists who will give the public a real spectacle.